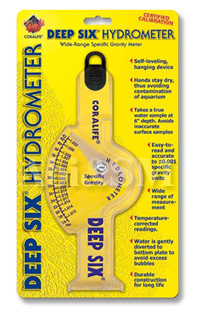 - Takes a true water sample at 6" depth. Avoids inaccurate surface samples. - Hands stay dry, thus avoiding contamination of aquarium. 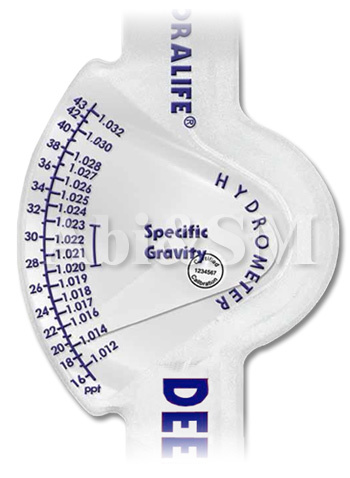 - Easy-to-read and accurate to ±0.001 specific gravity units. - Water is gently diverted to bottom plate to avoid excess bubbles. - Readings can be taken inside or outside aquarium. - Automatically takes correct sample size by leveling off at top of dam. 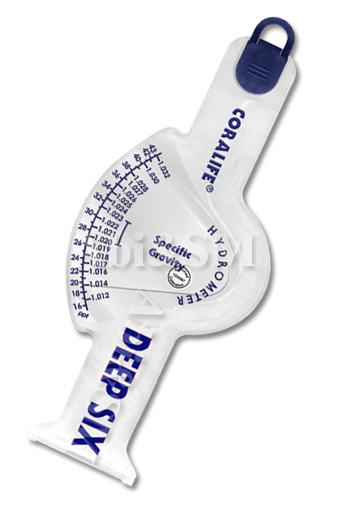 - Wide range of measurement.